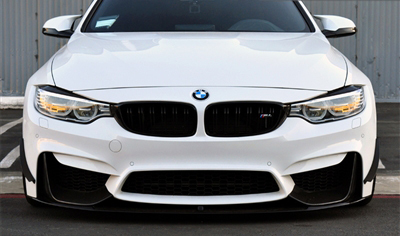 Make your BMW look more aggressive with these Carbon Fiber Headlight Covers. 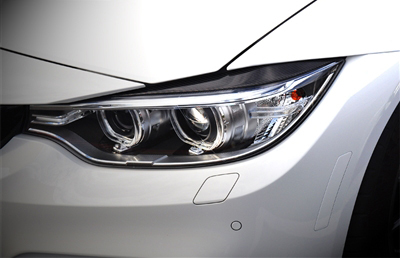 These eyelids will make your vehicle look more aggressive without compromising your BMW's elegance you love so much. They are made with 3k twill weave carbon fiber and are precisely made to follow the shape and curve of the lights. They are extremely easy to install- you just align the eyelids to the hood and the bumper then use the included double sided tape to tape it to the headlights and you are done! 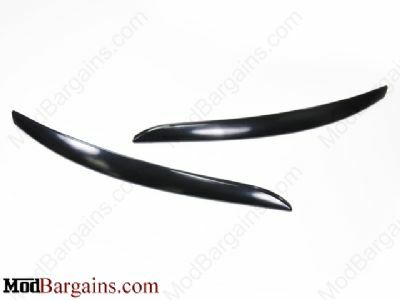 Want more details on these Carbon Fiber Headlight Covers?